about time you poke your head around here again. Welcome to the new people. And, YAY! New Nena for Fereshte! Yo, what's the happy haps, people from Trinity Base? You might remember me, I'm Karma's bro, the artist formally known as Rahall! He's callin' himself Mu here eh? His pestering finally made me join up, so enjoy. While we're on the subject, hey Mu, make me a cool Fon Spaak Avatard. Be nice, or I'll do bad admin things to you. Ku ku ku ku ku. Hey Lockon(Rahall)! Glad to have you aboard, again. Hello everyone! Finally character and mech approved. Hoping to have lots of fun in this awesome RP. Is that Kanji Tatsumi in your avatar field, Arti? 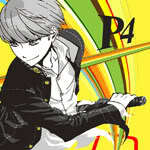 Persona 4 is one of the greatest games ever made. I've almost finished romancing Ai, but now Rise has joined the group, she's so cute! Do I dare attempt the two time? I call dibs on Yukari-chan! No one can touch my precious... 'Cept maybe the Protagonist, AKA Minato in the manga for those who don't know. It'll be interesting to see what they do with P3 Portable, which is beginning to look a bit more like a point-n-click game. TGF, can I assume by your avatar you called dibs on Shion-chan? What's up? I don't think anyone here knows me so I'll just elaborate a little so you can get to know me. My name is Andrew Kim, but you can call me whatever you want. I could care less. I'm a Junior this year, so I hope you won't mind a bad post here or there. I'm extremely busy as are some of you, so I think a few people on here know where I'm coming from. "r3173mpt10n" will be my temporary username until I figure out the character(s) I'm going to make and yeah. Not much to know about me other than that. Feel free to PM me if you have any questions. I'll answer them as long as they don't involve stupidity. (i.e. So how many times have you used the restroom today?) I'll only answer those kinds of questions when I actually know you guys and when we're like messing around. Yeah, I'll post up my character(s) and stuff in due time. Peace for now, mang.